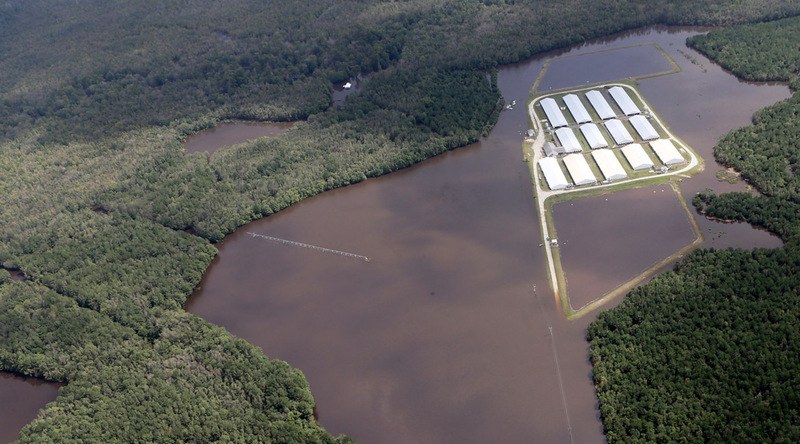 In September 2018, millions of gallons of toxic industrialized hog farm excrement inundated homes in Duplin and Sampson counties in eastern North Carolina, after floodwaters from Hurricane Florence caused the “waste lagoons” of nearby hog farms to overflow. The disaster was just the latest chapter in a long history of problems that began when these “concentrated animal feeding operations” (CAFOs) began moving into the region more than 35 years ago. Naeema Muhammad, a community organizer and co-director of the North Carolina Environmental Justice Network, says the industrialized hog-raising operations aren’t just an environmental issue, they’re also an issue of social justice. “In North Carolina, we have almost 10 million hogs, and almost all of them are in eastern North Carolina, in predominantly African American, Native American, and Latino communities,” she says. Muhammad grew up in North Carolina and spent time living in Philadelphia, where she became politically active. “Coming back to North Carolina, [I] began to see a whole lot of stuff that was wrong,” she says. 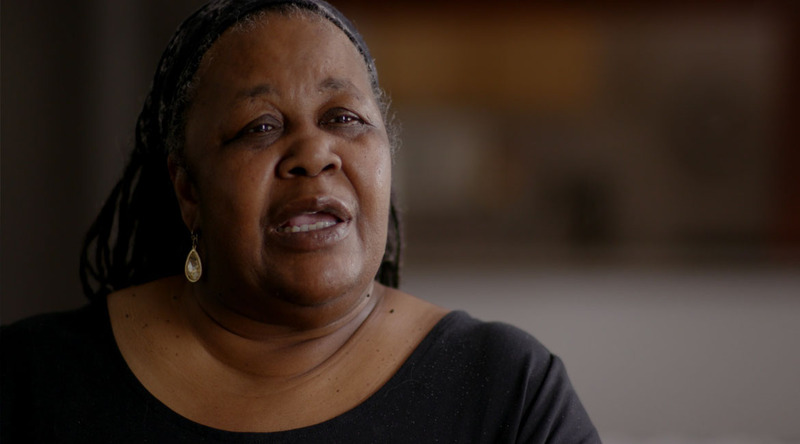 Working with communities devastated by Hurricane Floyd in 1999, she saw how white and black communities didn’t receive the same help during the recovery process, with some African American residents being placed in temporary housing on a contaminated landfill site. 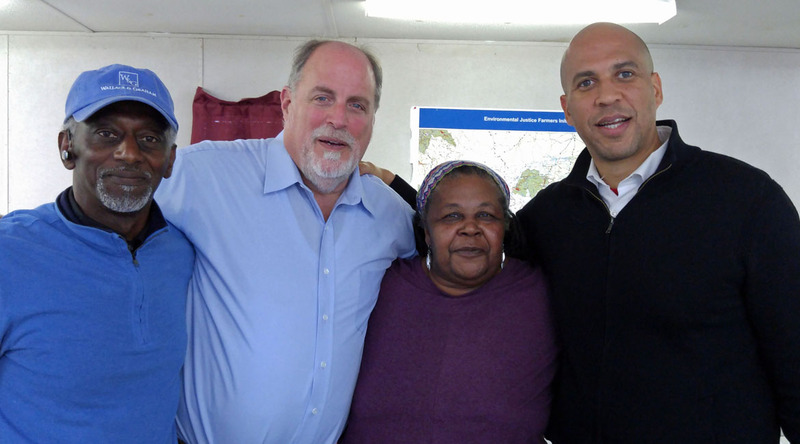 That work led her to found the North Carolina Environmental Justice Network. Eastern North Carolina is a rural area where small family farms used to be the norm. That began to change in the early 1980s, when industrialized hog farms started moving in. Over the next decade, the industry saw massive growth to more than 2,200 farms concentrated in a dense area. According to a 2014 analysis by the University of North Carolina, African Americans are 1.54 times more likely to live within three miles of an industrial swine operation than whites, while Latinos are 1.39 times more likely and Native Americans are 2.18 times more likely. Today, North Carolina ranks second in the country for hog farming, and it has the highest density of pigs in the United States, with a ratio as high as 45 pigs per person in places like Duplin County. In addition to the sheer density of animals, it’s the methods used by these industrialized farms that has made life unbearable for neighboring communities. In CAFOs, the hogs are kept in close quarters in large covered sheds. Large fans blow putrid gases out of the sheds and into the open air, while pipes collect the animal waste that falls through the floor, funneling it to huge outdoor lagoons. When the ponds fill up, the waste is sprayed onto crops as fertilizer. When animals die, their carcasses are left out in containers for collection, adding the smell of rotting flesh to the stench, Muhammad adds. “They can sit out there all day long,” she says. Some residents report that mist from the feces sprayers coats their homes and property, while the odor and waste has also led to an increase in pests like flies, mosquitoes, buzzards, and snakes. Muhammad and NCEJN helped citizens of eastern North Carolina take their claims to court. More than 500 residents sued Murphy-Brown, Smithfield’s hog production division, saying the animal feeding operations were denying them the use of their property. In May 2018, a unanimous jury awarded the first group of 10 plaintiffs $50 million in damages. The state of North Carolina subsequently reduced the award, citing a law that limits punitive damages to three times the amount of monetary damages, or $250,000, whichever is greater. The law also prohibits judges from informing juries of the limit. “That, to us, is an injustice,” Muhammad says. The state legislature also passed a law limiting the damages that can be awarded in nuisance lawsuits against agricultural operations, although the pending hog farm cases were eventually excluded after a public outcry. Learn about OMD’s work on the ground in North Carolina to support increased, equitable access to climate-fighting plant-based foods–– for people and the planet. Zakiyaa Taylor is OMD’s North Carolina Field Organizer. She works with communities on the ground in North Carolina to change hearts and minds around plant-based eating by supporting school districts, community members and restaurant owners to co-create lasting change. Your email address will not be published. Required fields are noted. Play nice!